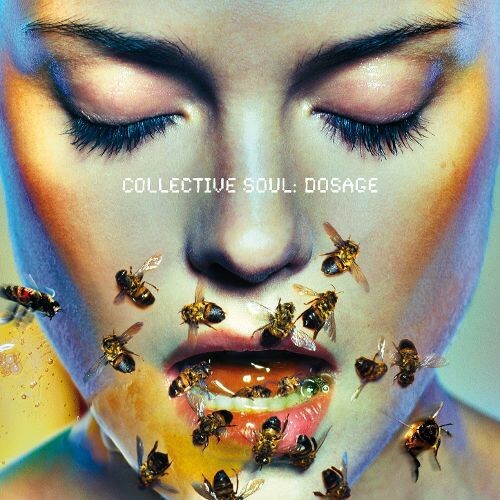 “Heavy” by Collective Soul, was the first single off the band’s fourth record, Dosage. 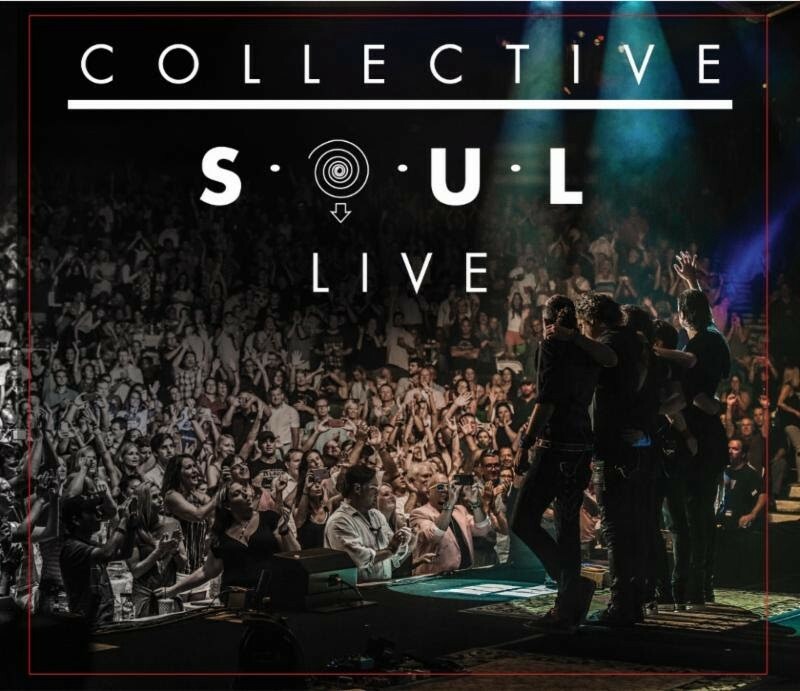 It’s also the opening track on their brand new (and first) live record, Collective Soul Live. “Heavy” as a single, served the band’s seventh number one song on Billboard’s Hot Mainstream Rock Tracks, making it their most successful song to date. With a running time of two minutes and fifty-five seconds, “Heavy” is a simple song with a mesmerizing guitar intro, but what makes it most attractive is how honest the lyrics are. “And all your weight, it falls on me, it brings me down,” — a powerful line and feeling that everyone can relate to. It’s a song that understands, and one that contains the inexplicable magic of music, where you feel better thanks its companionship. 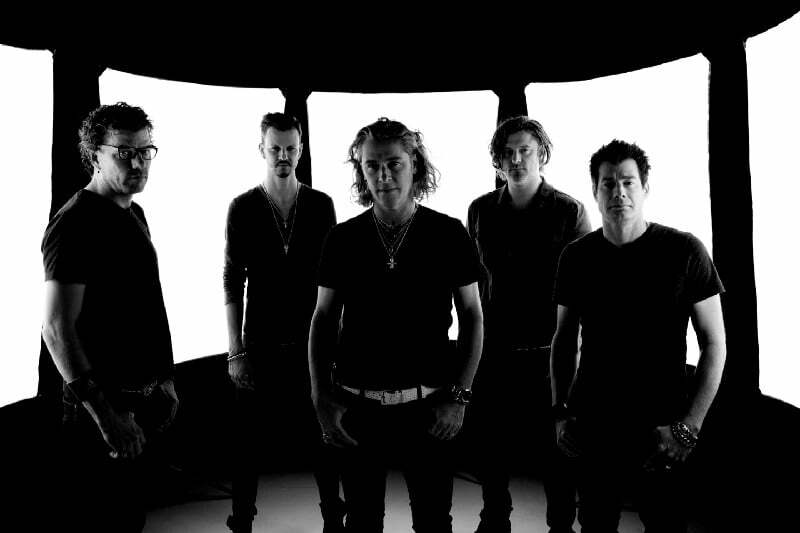 I recently spoke Collective Soul frontman Ed Roland, about “Heavy”. Here, Roland takes us inside the song — everything from when it was written, to why, to what it means to him now. What do you remember about writing “Heavy”? Where was it written? “Heavy” was written in Miami. We started the Dosage record in Miami at what was once called Criteria Studios, it’s called The Hit Factory Sound now after The Hit Factory in New York. I came up with the riff, played it for the boys, and they loved it. I wanted to write a song that didn’t have the title in the lyrics. I had to incorporate that with what I was going through at the time, which was very overwhelming. Everyone was throwing their problems on me, and I just felt like I was getting beat up a lot. So, I started writing. When I came up with “All of your weight falls on me,” I thought that was perfect, I can now call the song “Heavy”. It was an interesting combination of challenging myself lyrically and the emotions of what I was going through. I had a desire to write about what I was feeling. 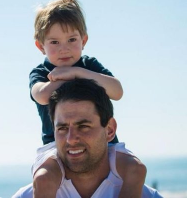 It felt like every emotion of a friend or particular relative was coming down on me. So, the lyrics are exactly what I felt at that time. It’s such an honest subject matter and something everybody goes through in some way. With what “Heavy” meant to you personally, what was your initial reaction after recording it and hearing it back for the first time? I loved it. It was recorded exactly the way I wanted to hear it. At the time, rock music started moving away from riffs. It was in this transitional place. I really wanted a less than three-minute song where I get in and get out. I had this true sense of, not so much anger, but confusion. The guitar intro is sonically so unique and captivating. How did you come up with that? We were doing some sampling one day. We were really just playing around. I was doing edits, listening to the bridge of the song actually, and making sure the timing was right. I paused at a particular sound, and said, “Wait a second, what was that? Let’s loop that. We’ll add some space to it and make it like an intro.” That’s what we ended up doing, aiming for this call to arms feel. How did “Heavy” fit into Dosage thematically? Was it in tune with how you were feeling collectively or was it more of a unique spot within the record? It was a unique spot. I never really thought of that. There was a song in there that I wrote about missing my wife, it was all about needs, there was a love song too. It’s a great question in context of the record, something I never thought about, but “Heavy” for me, was certainly unlike anything else in terms of meaning. You then put the song out for the world to hear and the reaction is incredible. How did that make you feel? Were you surprised, or did you known people would gravitate towards it? Well, that’s a testament to the song. It speaks to how strong the music is. I looked at it that way too. At first, the natural emotion was to get pissed off. Then it became, well, it stood on its own. Aside from the intro and of course, the catchy chorus, the song starts with the lyric, “Complicate this world you wrapped for me.” That is one hell of a line. That’s exactly how I felt in all aspects of my life. With the band, we were trying to find ourselves. Not so much as a band, but individually — what we were as men. For so long we had been worried about what Collective Soul was, and you have to remember the other guys are ten years younger than me. They were twenty-years-old. They were being recognized as Collective Soul, not individuals. That line has a lot to do with everyone finding their own vibe and figuring out who they were. Structurally, you have these short and powerful versus and then you jump right into the chorus. What I find fascinating is that the feel of the chorus, emotionally, is a quite heavy. But it never says the word heavy. I was completely challenging myself as a songwriter to do that. I was listening to so much Zeppelin at the time. One of my favorite songs is “Trampled Under Foot”. For my entire youth I thought the song was called “Talking About Love”. The words — trampled under foot, are nowhere in there. Many Zeppelin songs are in that style. It inspired me to want to write like that. “Heavy” is often a set opener for Collective Soul. It’s also the opening track on your new live album. What is it about the song that makes it a great opener? I love opening with it. It’s also a good song for me to start with as a singer because it doesn’t stretch my register. It’s almost like a vocal warm-up. The intro riff is recognizable so, it gets the fans going. They know exactly what they are getting into. Given what the song means to you personally, what is it like for you to play it live? Do you have these out-of-body moments where you get lost in the song, and it’s almost as if the crowd isn’t even there? Yes, definitely. Some nights more than others. Sometimes the response of the crowd is so exciting that it gets me excited, and that creates such an adrenaline-filled moment. There are other nights where I will still get lost in the moments of the song, I’ll go through all of the different emotions within those few minutes — I’ll get pissed off and fired up. It’s a great release for me. It’s therapeutic just to get it out, and then it’s over and I’m good for the rest of the show. Are there any performances of “Heavy” that are most memorable or unique to you? With the band, we stick to how it sounds on the record when we perform it live. But earlier this year, our guitarist, Jesse Triplett and I, had a private show — just him and I acoustically. We weren’t going to play to “Heavy”. For some reason I just started making stuff up, Jesse could tell where I was going with it, and I broke into “Heavy”. It was so fun to play it live like that. It translated acoustically better than I would have thought. It’s hard to play on an acoustic guitar, it doesn’t sound as heavy, but it still carries the same emotion. It made me feel good as a songwriter. To me, songs sound just as good on an acoustic as they do on an electric sometimes. I’ve been thinking of that performance with Jesse a lot lately, it stands out for sure. Looking back on it now, how do you feel you overcame what you were writing about with “Heavy”? I think I overcame it just fine. 18 years later we are still a band. I still have relationships now that I did then. It goes back to this concept that it’s OK to be pissed off sometimes. It’s OK to have this feeling of, “Hey, quit making me a martyr.” Whether it’s a band, a love relationship, parents, cousins, whatever, you have to get to the point where you think, OK, we can work it out. But, you have to let it out in order to do that, and realize what you are doing is perfectly OK. In that sense, was “Heavy” a companion to you in working it out? Oh yeah, without a doubt. Writing is that for me. It’s therapeutic. Sometimes I love writing and other times I’m so happy and want to go play golf. When I do have something that I need to let out, writing by myself is a therapy session. I completely relate. Writing allows me to go someplace where nobody can find me. Collective Soul is firing on all cylinders and you have new live album. All things considered, what does “Heavy” mean to you now? Personally, I am in a different place now, so it doesn’t mean exactly the same thing to me as it did when I wrote it. That being said, there are those days where we are about to go on stage and something is bothering me, or I feel underappreciated, and the song “Heavy” will get me through that night. It’s one of the reasons I like playing it first. Even if I am in a good mood, it’s fun to play. If I am in a bad mood, it’s like — be gone evil spirts, I have to focus on what I need to do. I am incredibly proud of “Heavy”. I mean that sincerely. There’s so much wrapped into that song in under three minutes. The fact that it continues to resonate and have an impact on people is one of my proudest accomplishments as a songwriter.